Growth makes addicted. A company that doubles each ten years sales and threefold earnings is a good return and cash cow for your portfolio if you have not overpaid your investment. Google, Facebook and other techies are good growth stocks with deep values but they are definitely too expensive to make a good return. 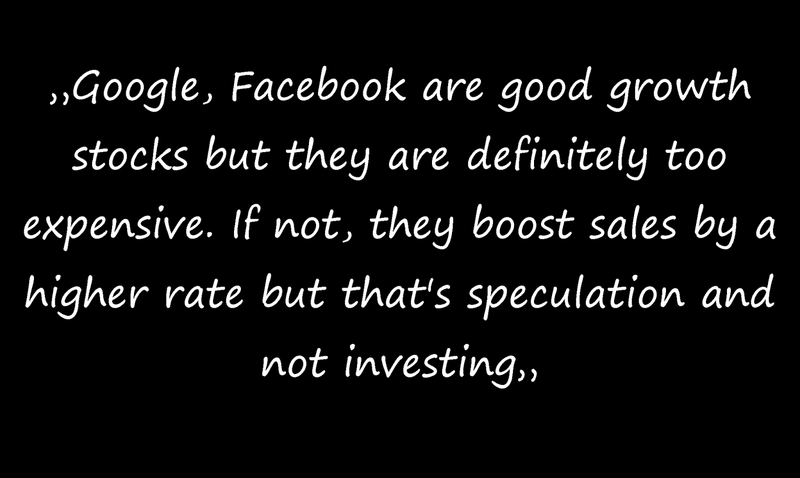 If not, I am wrong and they boost sales by a higher rate but that's speculation and not investing. I've released an article about growth stocks with a smaller market capitalization that have doubled sales over the recent decade. I wrote this article, inspired by a Chinese couple that bought some shares of Apple in the 90's and made a profit on its initial investment of $276,600. That’s really great. Long-term investing brings huge money into your pocket. Today I like to introduce those dividend stocks that have outperformed the most of the listed stocks by fundamental growth ratios. They have tenfold their sales within the past decade. It is great? Sure it is! NutriSystem (NASDAQ:NTRI) has a market capitalization of $469.73 million. The company employs 466 people, generates revenue of $358.09 million and has a net income of $7.37 million. NutriSystem’s earnings before interest, taxes, depreciation and amortization (EBITDA) amounts to $19.86 million. The EBITDA margin is 5.55 percent (the operating margin is 3.06 percent and the net profit margin 2.06 percent). Financial Analysis: The total debt represents 0.00 percent of NutriSystem’s assets and the total debt in relation to the equity amounts to 0.00 percent. Due to the financial situation, a return on equity of 12.80 percent was realized by NutriSystem. Twelve trailing months earnings per share reached a value of $0.36. Last fiscal year, NutriSystem paid $0.70 in the form of dividends to shareholders. Market Valuation: Here are the price ratios of the company: The P/E ratio is 45.08, the P/S ratio is 1.31 and the P/B ratio is finally 8.98. The dividend yield amounts to 4.29 percent and the beta ratio has a value of 0.45. Silicom (NASDAQ:SILC) has a market capitalization of $787.13 million. The company employs 143 people, generates revenue of $265.87 million and has a net income of $61.94 million. Silicom’s earnings before interest, taxes, depreciation and amortization (EBITDA) amounts to $66.22 million. The EBITDA margin is 24.91 percent (the operating margin is 23.98 percent and the net profit margin 23.30 percent). Financial Analysis: The total debt represents 0.00 percent of Silicom’s assets and the total debt in relation to the equity amounts to 0.00 percent. Due to the financial situation, a return on equity of 20.62 percent was realized by Silicom. Twelve trailing months earnings per share reached a value of $8.97. 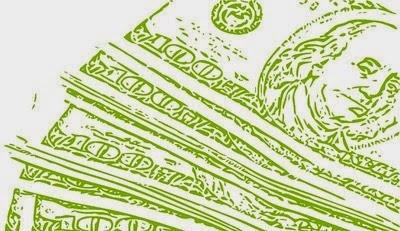 Last fiscal year, Silicom paid $3.63 in the form of dividends to shareholders. Market Valuation: Here are the price ratios of the company: The P/E ratio is 3.26, the P/S ratio is 2.96 and the P/B ratio is finally 2.38. The dividend yield amounts to 3.18 percent and the beta ratio has a value of 1.31. Ebix (NASDAQ:EBIX) has a market capitalization of $585.37 million. The company employs 1,927 people, generates revenue of $204.71 million and has a net income of $59.27 million. Ebix’s earnings before interest, taxes, depreciation and amortization (EBITDA) amounts to $85.11 million. The EBITDA margin is 41.58 percent (the operating margin is 34.58 percent and the net profit margin 28.96 percent). Financial Analysis: The total debt represents 10.42 percent of Ebix’s assets and the total debt in relation to the equity amounts to 13.59 percent. Due to the financial situation, a return on equity of 15.09 percent was realized by Ebix. Twelve trailing months earnings per share reached a value of $1.49. Last fiscal year, Ebix paid $0.08 in the form of dividends to shareholders. Market Valuation: Here are the price ratios of the company: The P/E ratio is 10.26, the P/S ratio is 2.86 and the P/B ratio is finally 1.39. The dividend yield amounts to 1.96 percent and the beta ratio has a value of 1.71. Apple (NASDAQ:AAPL) has a market capitalization of $608.73 billion. The company employs 80,300 people, generates revenue of $170,910.00 million and has a net income of $37,037.00 million. Apple’s earnings before interest, taxes, depreciation and amortization (EBITDA) amounts to $55,759.00 million. The EBITDA margin is 32.62 percent (the operating margin is 28.67 percent and the net profit margin 21.67 percent). Market Valuation: Here are the price ratios of the company: The P/E ratio is 16.42, the P/S ratio is 3.56 and the P/B ratio is finally 5.18. The dividend yield amounts to 1.85 percent and the beta ratio has a value of 0.88. Keurig Green Mountain (NASDAQ:GMCR) has a market capitalization of $21.30 billion. The company employs 6,300 people, generates revenue of $4,358.10 million and has a net income of $484.10 million. Keurig Green Mountain’s earnings before interest, taxes, depreciation and amortization (EBITDA) amounts to $997.63 million. The EBITDA margin is 22.89 percent (the operating margin is 17.56 percent and the net profit margin 11.11 percent). Financial Analysis: The total debt represents 6.67 percent of Keurig Green Mountain’s assets and the total debt in relation to the equity amounts to 9.52 percent. Due to the financial situation, a return on equity of 19.74 percent was realized by Keurig Green Mountain. Twelve trailing months earnings per share reached a value of $3.71. Last fiscal year, Keurig Green Mountain paid $0.00 in the form of dividends to shareholders. Market Valuation: Here are the price ratios of the company: The P/E ratio is 35.32, the P/S ratio is 4.89 and the P/B ratio is finally 7.48. The dividend yield amounts to 0.76 percent and the beta ratio has a value of 0.39. HDFC Bank (NYSE:HDB) has a market capitalization of $34.05 billion. The company employs 68,165 people, generates revenue of $5,834.76 million and has a net income of $1,024.48 million. HDFC Bank’s earnings before interest, taxes, depreciation and amortization (EBITDA) amounts to $2,220.52 million. The EBITDA margin is 60.60 percent (the operating margin is 41.38 percent and the net profit margin 27.96 percent). Financial Analysis: The total debt represents 14.78 percent of HDFC Bank’s assets and the total debt in relation to the equity amounts to 137.86 percent. Due to the financial situation, a return on equity of 14.32 percent was realized by HDFC Bank. Twelve trailing months earnings per share reached a value of $1.56. Last fiscal year, HDFC Bank paid $0.27 in the form of dividends to shareholders. Market Valuation: Here are the price ratios of the company: The P/E ratio is 31.60, the P/S ratio is 9.29 and the P/B ratio is finally 5.09. The dividend yield amounts to 0.69 percent and the beta ratio has a value of 1.31. Tata Motors Limited (NYSE:TTM) has a market capitalization of $26.30 billion. The company employs 62,716 people, generates revenue of $38,389.72 million and has a net income of $2,325.50 million. Tata Motors Limited’s earnings before interest, taxes, depreciation and amortization (EBITDA) amounts to $5,744.06 million. The EBITDA margin is 14.96 percent (the operating margin is 10.09 percent and the net profit margin 6.06 percent). Financial Analysis: The total debt represents 5.59 percent of Tata Motors Limited’s assets and the total debt in relation to the equity amounts to 18.74 percent. Due to the financial situation, a return on equity of 27.10 percent was realized by Tata Motors Limited. Twelve trailing months earnings per share reached a value of $4.83. Last fiscal year, Tata Motors Limited paid $0.16 in the form of dividends to shareholders. Market Valuation: Here are the price ratios of the company: The P/E ratio is 9.79, the P/S ratio is 0.69 and the P/B ratio is finally 2.81. The dividend yield amounts to 0.34 percent and the beta ratio has a value of 2.19. NetEase (NASDAQ:NTES) has a market capitalization of $11.54 billion. The company employs 7,688 people, generates revenue of $1,499.12 million and has a net income of $724.64 million. NetEase’s earnings before interest, taxes, depreciation and amortization (EBITDA) amounts to $735.35 million. The EBITDA margin is 49.05 percent (the operating margin is 47.33 percent and the net profit margin 48.34 percent). Financial Analysis: The total debt represents 3.97 percent of NetEase’s assets and the total debt in relation to the equity amounts to 4.82 percent. Due to the financial situation, a return on equity of 24.74 percent was realized by NetEase. Twelve trailing months earnings per share reached a value of $5.76. Last fiscal year, NetEase paid $0.00 in the form of dividends to shareholders. Market Valuation: Here are the price ratios of the company: The P/E ratio is 15.34, the P/S ratio is 7.70 and the P/B ratio is finally 3.48. The dividend yield amounts to 2.40 percent and the beta ratio has a value of 0.98.